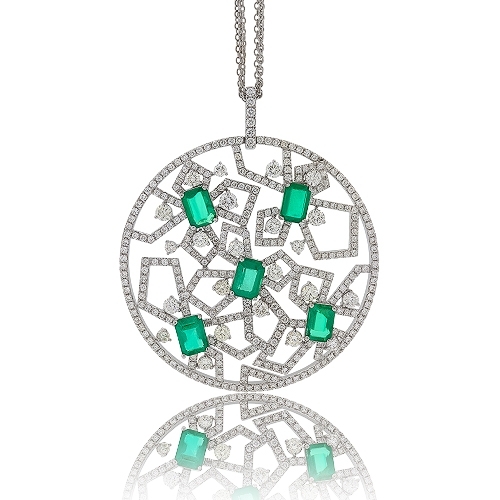 Round open pendant in an edgy design set with green intense emeralds & brilliant white diamonds mounted in 18k white gold. Diamonds approx. 4.65ct. Chain 16"